To ensure compatibility and help reduce costs, most of the our range incorporates the bracket. You can choose from over 60 different designs across 4 ranges of decorative column. Consider the design possibilities of columns which bend or twist, or which are embellished with other materials. When you add luminaires from the extensive Ark range, your choice expands to hundreds of combinations. When your lighting project is part of a larger design concept, the last thing you need is standard columns. Even with decorative brackets and luminaires, a standard column is still plain and functional. 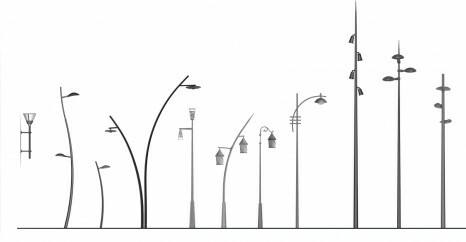 To complement and enhance the overall effect of your development’s design our decorative lighting columns push the boundaries of lighting design and technology.